My mom made a difference. She made a difference in my life and in the life every person she encountered. Mom was Mom. That’s all. She wanted to do the most good in her life and she did just that. On July 5, 2013, Mom left this world to join her parents (my Nana and Granddad) in Heaven along with many others that have since passed. Am I sad? Yes. Am I a little angry about this unexpected change in our lives? Yes. But, I’m also very happy seeing just how many people she touched in her life. Mom taught us that everyone deserves respect and that with that earned respect, we could be successful in anything we set out to do. Last year, for Mother’s Day, my siblings and I put together a special blog post for Mom. We each wrote down a few things we’d learned from her over the years and published a similar version of the points covered below. I had the pleasure of publishing it here on Campus to Career. Later, I found out that Mom had printed it out and read it often. That doesn’t surprise me. You see, Mom was my biggest fan. She was everyone’s biggest fan. She was a motivator, giver of tough-love (when needed), mentor, excellent listener, friend to many, devoted wife and mother, and just a damn good person in general. When my siblings and I sat down to reflect and prepare her obituary, we soon came to realize hers was going to be different. Different in a good way. Just like Mom’s true personality, her obituary was a celebration of life that included basic details, a few funny stories and what I would say is one of the best summaries of a person’s life that I’ve ever seen. Hundreds of people attended her memorial service at Goddard United Methodist Church in Fort Smith, Arkansas. It was amazing to see everyone that she had impacted throughout her life. And it was inspiring. Delania Wynn Baumann was born on Oct. 21, 1954, to Wayne and Faye Allen in Amarillo, Texas. She was their second child. Growing up, Delania developed a passion for life, taking every opportunity to serve the Lord and others around her. On July 27, 1974, she married Daniel Baumann of Perryton, Texas. Dan and Delania have four children, Kirk Baumann, Whitney Moore, Jordan Baumann and Karissa Crowder. She and Dan have one grandchild, Bronson Moore. Delania was a lifelong student. She continued her education, beginning with her bachelor’s degree from Northeastern State University and then her master’s degree in behavioral studies with an emphasis in home economics from Southeastern Oklahoma State University and finally earning her vocational certification from University of Central Oklahoma. Her credentials and passion for helping people helped her land her first teaching job at Northeastern State University that sparked a 20-plus year career in education, serving as a teacher at Howe Public Schools and Roland Public Schools. In 1989, with the birth of her fourth child, Karissa, she took a break from teaching and founded one of the state’s largest childcare facilities, serving hundreds of families and impacting thousands of children during its operation from 1989 to 2001. Delania had quite the entrepreneurial spirit, but her passion was teaching. She returned to Roland Public Schools in 1994 and continued to teach Home Economics, now called Family & Consumer Sciences, as well as Food & Nutrition, Marriage/Parenting, Career Orientation, Adult & Family Living, Housing and Psychology. Delania also helped establish Roland’s job shadowing program through which many students have found job placement. She was a teacher who went above and beyond teaching her subject matter. She fed, clothed, counseled and mothered a lot of kids with varying needs. In the words of a colleague and friend, she was a REAL teacher — one who did MORE than just put in her time in order to go home, one who really saw each student as a person of worth and one who truly cared about those who came through her door each hour. Delania was a planner. In fact, one of her favorite sayings was, “If you fail to plan, plan to fail.” This advice continues to resonate with her children, students and friends. Delania was a lover of Coca-Cola. Classic. Not Diet, not Coke Zero. When a server informed her that the restaurant served Pepsi products, she always said, “I’ll have water.” She was a lover of QVC. Anyone could tell you that she found the best deals and was not just a customer, but a valued customer. Dan and the kids could tell you that there was hardly a week that went by without a little brown package from QVC at the doorstep when they came home. Delania had a great sense of humor. She was always laughing about something in life and that lighthearted spirit was contagious among her family, friends, colleagues and students. Whether it was her Texas-sized accent or just her sunny disposition, people were always laughing with Delania. Delania Baumann was a wife, mother, Nana to Bronson, friend to all she met, eternal optimist and devout Christian. Thanks for letting me be myself. No matter how weird that was (or is), you let me find my own way in life, choose my own friends (and yes, some are weird) and let my true personality shine. That meant putting up with many competitive speech events, band concerts, drum line practice, theatre performances and healthy obsession with collecting Superman paraphernalia. To help my Mom’s legacy of helping people continue, we’re establishing a special trust that will benefit those at Roland Public Schools (Roland, OK) from Kindergarten to 12th grade. My mom always did her best to help kids in need at school, whether it was a pair of jeans without holes, shoes that fit, or a coat that would keep them warm in the winter, she always made sure that they were taken care of. She was a huge supporter of the Angel Tree initiative around the holidays, but always wanted to do more. Roland Public Schools was her community and with your help, we hope to keep her legacy alive year-round with Delania’s Angels. As you can imagine, details are still being ironed out. Once it’s all said and done, we hope to establish this fund as a non-profit with a fully functional website complete with the option to donate online and more. Until then, the instructions above will steer you in the right direction. Any donation is welcome – none are too small. It all goes to help children, teenagers and young adults at Roland Public Schools. 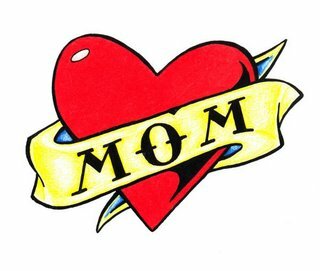 Thank you for your consideration and thank you for helping us remember Mom in a way that will matter. Such a great way to honor your mom. I am sorry for your family’s loss. I meet your mom a few times as my sister is a friend of Whitney. Your mom was such a happy, loving, fun and memorable woman. Please know our family is praying for your family. Thanks Kim. We appreciate your thoughts and prayers. Mom’s legacy will live on! Thanks Louise. She was definitely one of a kind. Over the years, I’ve noticed her unique approach to life rub off on many people. All these comments make it clear that she had an impact on so many lives. Thanks Sandy. We appreciate your thoughts and prayers. We know your heart was there and she’ll continue to have a special place in the hearts of many people. Thanks for helping mom’s legacy live on! Kirk, please accept my condolences. Your Mom sounds extraordinary and her legacy will live on through all of her children, the ones she gave birth to as well as the ones she taught and the childcare. Losing your Mom is one of the hardest things. My Mom has been gone for 11 years now and there are days I wish I could talk to her again. In those moments, I just start talking because I know she is still listening. In the quiet moments, I know what she would be telling me, just as your mom will be telling you. Amy – I think you’ve said it well. Mom went out of her way to help people. She didn’t give up and she made sure that we didn’t give up either. Keep trying your best. I know I will. Mom would be proud of all of us. Aunt Sherron – thanks for your thoughts and prayers. We’ll make it through this time of sadness. So many memories of mom flood to us from time to time that make us smile, even laugh. She left a great legacy and we intend to keep it going.